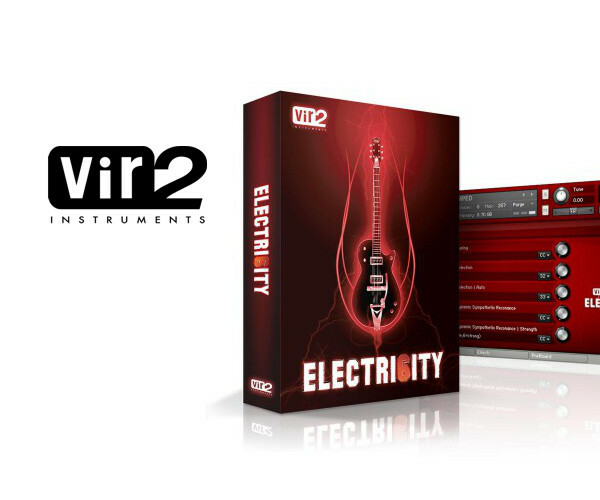 After more than three years of development, Vir2 Instruments presents Electri6ity, an epic electric guitar virtual instrument containing the most advanced, detailed, and versatile collection of electric guitars ever made in a virtual instrument.Electri6ity contains eight of the most famous and distinguished guitar tones in the history of the instrument. More than 24,000 24-bit samples were taken of each guitar. Three pickup options (front, rear, and mixed) are available on every guitar. An impressive amount of samples allow you to play every articulation on every fret of every string for an absolutely authentic guitar sound. Downstrokes, upstrokes, seamless velocity layers, ghost notes, mutes, harmonics, hammer-ons, pulloffs, slides, releases, and FX…the sky is the limit with Electri6ity.